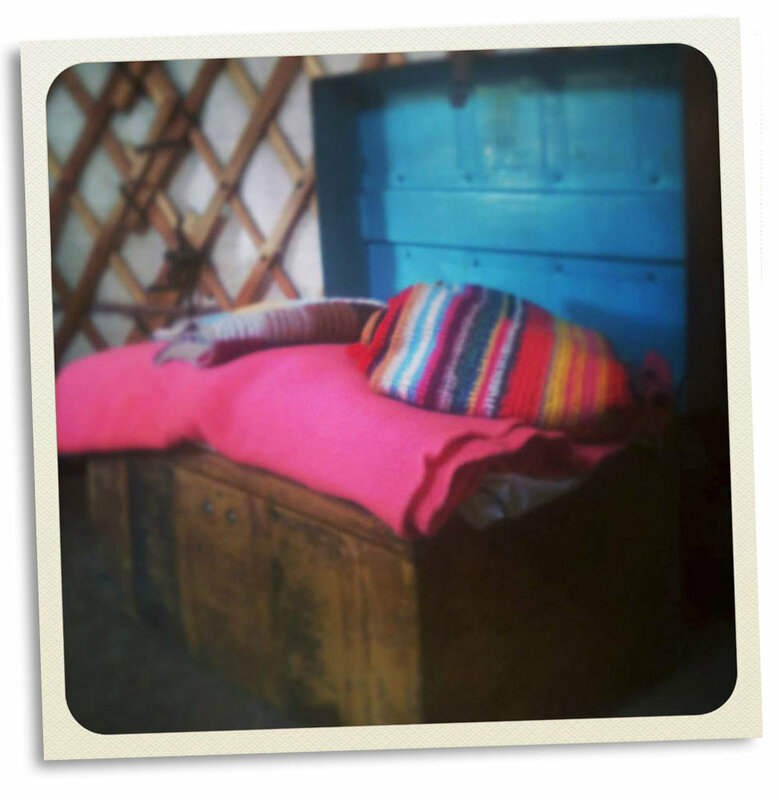 Each Yurt is individually furnished with an eclectic mix of rustic furniture. This includes a double bed, single futons, as well as piles of cosy cushions, blankets and throws. In the centre of each Yurt is a wood stove and the floor is covered with rush matting - so even on chilly nights, the space is warm and inviting.Each Yurt has it's own area for picnicking or relaxing in the sunshine and enjoying the views. Each Yurt has it's own fire pit in front where you can enjoy a bbq in the evenings or stoke up the bonfire for marshmallow toasting.. These 3 smaller yurts are made by a local craftsman. He uses sustainable wood that he harvests and seasons from his own woodland in North Dorset. Each yurt can sleep up to 4 people and has a double bed and 2 single futons. 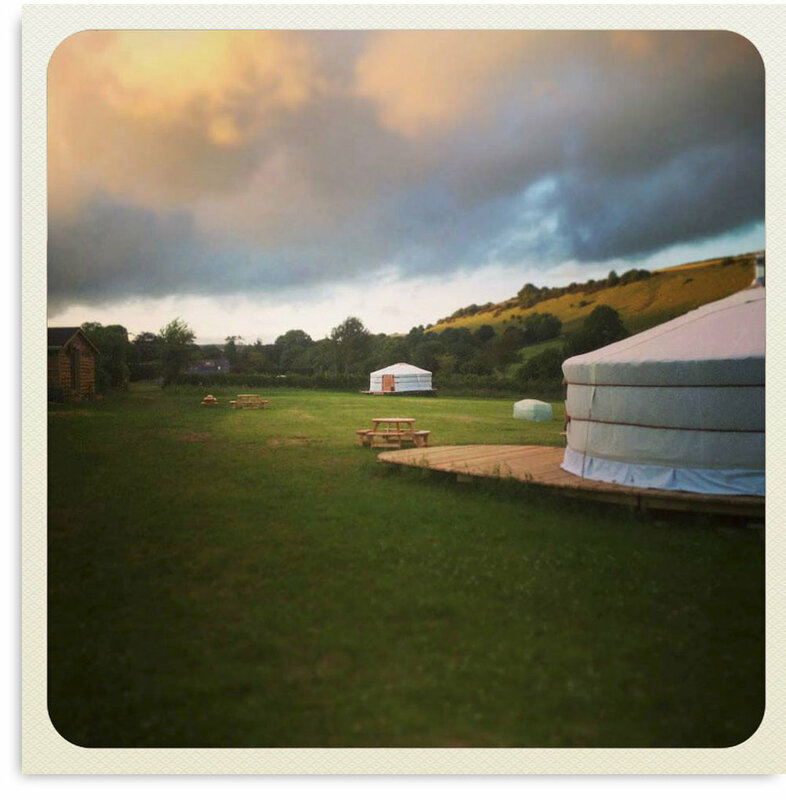 The 3 small yurts are in a separate field, making them a good option for a group booking. 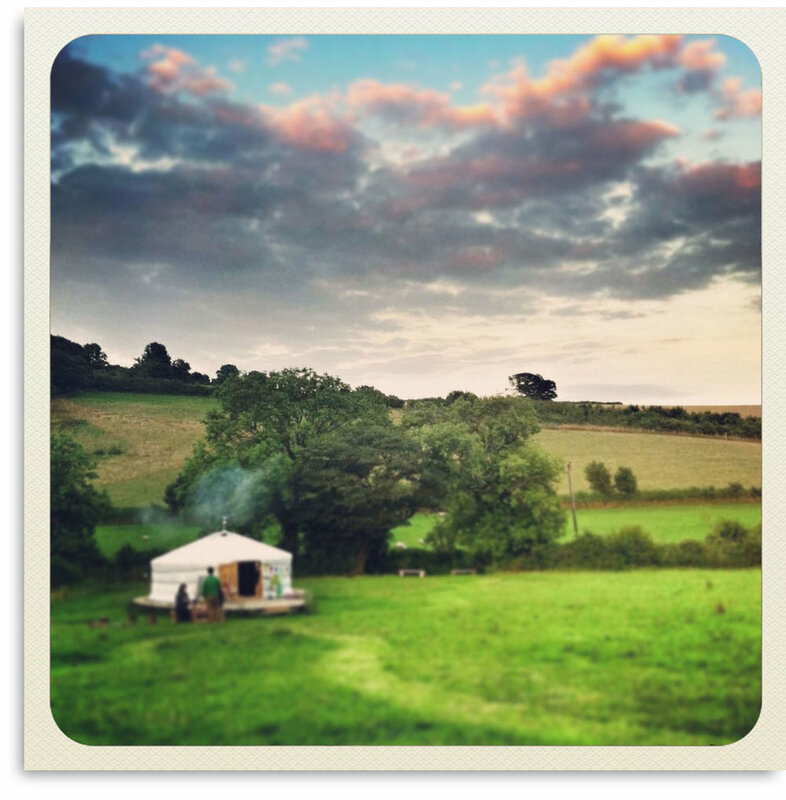 We have 2 Medium Yurts sleeping up to 5 people. They each have 1 double bed and 3 single futons. Our large Yurt sleeping up to 7 people, has one double bed and 5 single futons. All the yurts are beautifully hand made in Mongolia and are fully insulated with a thick felt lining for extra cosiness.